Thank you for visiting my website. I am an artist and arts education specialist working primarily in community-based arts initiatives in Chicago. As an artist, my main focus is leading murals in schools and community spaces. Over the past twelve years I have created more than two dozen large-scale works for schools, churches, playgrounds, and community centers. 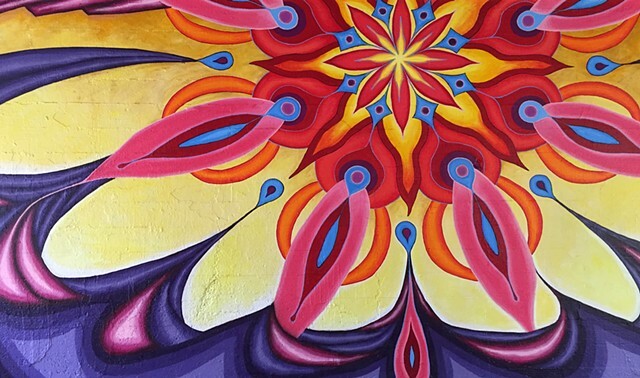 Many mural projects are collaborations with my husband, artist Dustin Harris. Together we run the company Mix Masters Murals -- check us out for a full portfolio of projects. I am also a sometimes-painter, and hope to fill my site with more canvas work in the upcoming year. As an arts education specialist, I have founded, managed and taught youth programs with Columbia College Chicago, Urban Gateways, City of Evanston, Chicago Humanities Festival, After School Matters, Steppenwolf Theatre, and Lifeline Theatre. I am currently the Director of Education and Outreach with Art Encounter, where I also run the Evanston Mural Arts program with Dustin Harris. Please click on PORTFOLIO to see my work, and contact me with your comments and interests! Peace.